The oral cancer screening is typically included in the exam cost and is a visual check. If they see something is off, they may order a kit to give them a closer look at the condition of your mouth. You may only have a dental x-ray at your 6-month visit if you are experiencing tooth pain or oral health problems that need to be evaluated. 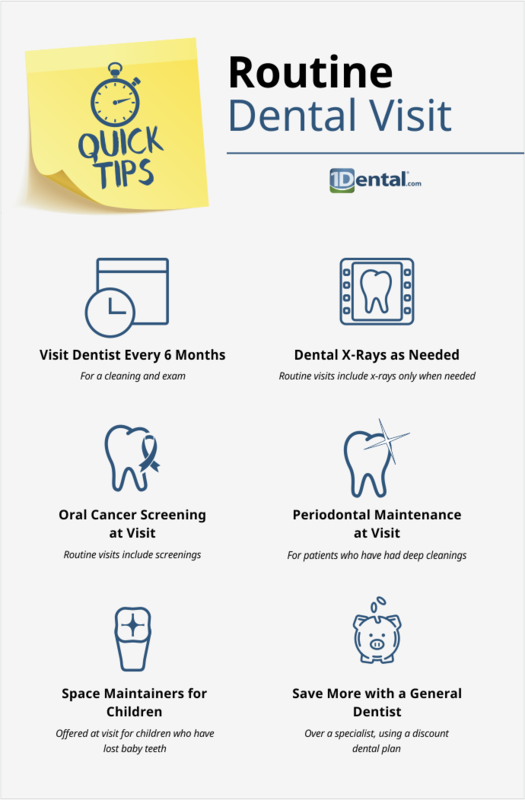 Once a year, your dentist will want to do dental x-rays, so your annual bill will look like your first-time dental visit. The following pages contain sample bills for a general dentist in our network for the Careington Care 500 plan.